Olatunji J Oladiran Department of Building, University of Lagos, Nigeria. Olabode E Ogunsanmi Department of Building, University of Lagos, Nigeria. Martin O Dada Department of Building, University of Lagos, Nigeria. A novel approach to solving waste incidence of materials on building projects is to framework the issues and processes that are involved in its minimization. The objective of the study is to develop and validate frameworks for material waste minimization in building projects. This study is a survey research in South West Nigeria. Define, Review, Identify, Verify and Execute (DRIVE) and Construction Process Improvement Methodology (CPIM) techniques were used to develop the proposed frameworks; while the validation was done by face validity and scoring model approaches. A pilot validation was done by five academics while the main validation involved 17 potential end users. Data were analysed with frequency and percentage. The study reveals that the frameworks are clear, informative, appropriate and applicable. It is concluded that the frameworks can minimize material waste at every stage of building projects. It is therefore recommended that the proposed FMWM should be adopted by all stakeholders to prevent and minimize material waste at all stages of building projects. Keywords: CPIM, DRIVE, Frameworks, Minimization, Prevention, Waste. Olabode E Ogunsanmi, Department of Building, University of Lagos, Nigeria. Associate Professor, Department of Building, University of Lagos. Martin O Dada, Department of Building, University of Lagos, Nigeria. Professor, Department of Building, University of Lagos. OLADIRAN, Olatunji J; OGUNSANMI, Olabode E; DADA, Martin O. Frameworks for Material Waste Minimization on Nigerian Building Projects. 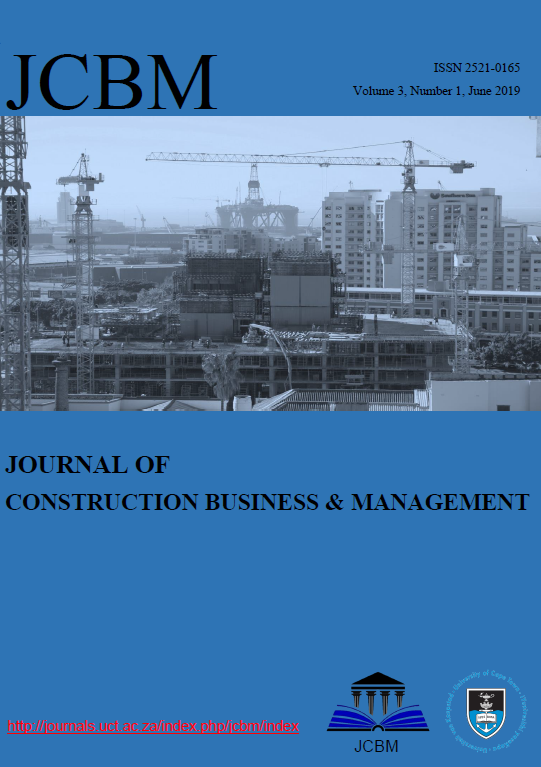 Journal of Construction Business and Management, [S.l. ], v. 3, n. 1, p. 45-61, feb. 2019. ISSN 2521-0165. Available at: <https://journals.uct.ac.za/index.php/jcbm/article/view/593>. Date accessed: 26 apr. 2019.